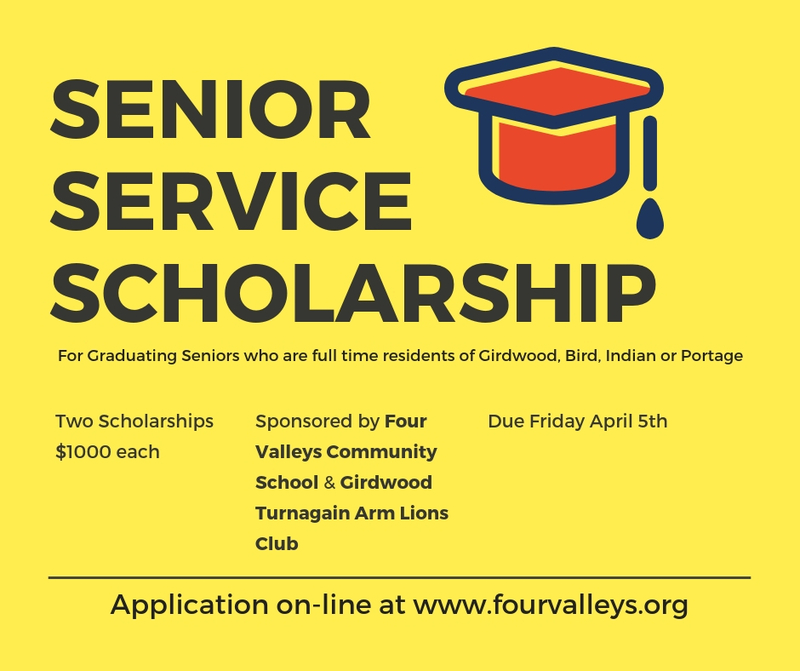 Program Scholarship: Four Valleys Community School also offers confidential financial assistance for most of our classes for families with financial need. 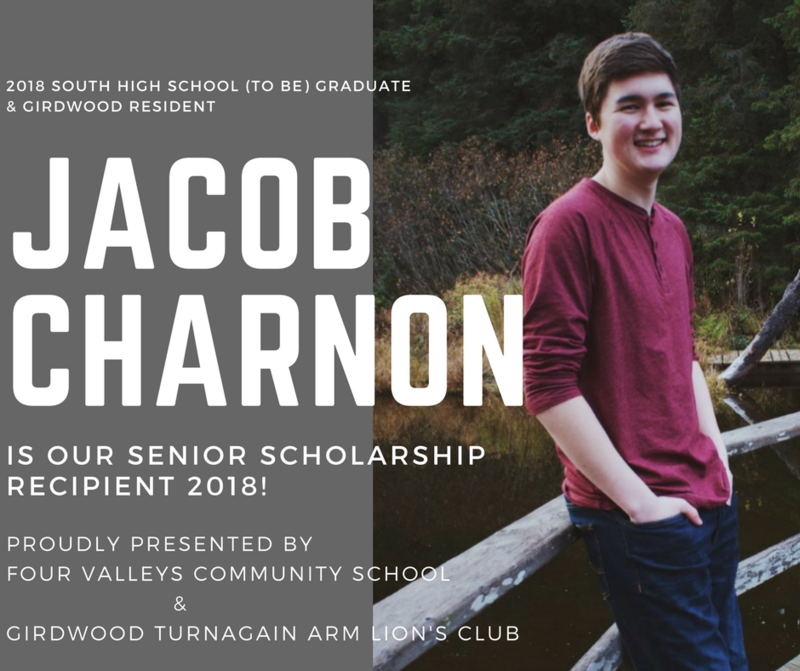 The Girdwood Forest Fair Committee has also donated funds to our scholarship program. We use the Federal Income Eligibility Guidelines to offer first come, first considered financial assistance to families who need help paying for classes. Priority is given to families who can volunteer their time assisting FVCS with projects and events. Return the Scholarship Application to the FVCS Office or return to the FVCS Director. Community Service Scholarship Packet 2019 This scholarship for graduating high-school seniors is awarded each spring. 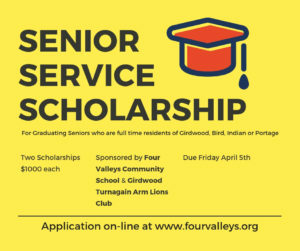 Four Valleys Community School partners with Girdwood Turnagain Arm Lion’s Club to provide two $1000.00 scholarships for graduating seniors. Applicants interview with a small committee. 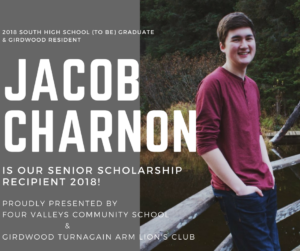 Our 2018 recipient was Jacob Charnon who is attending UC Davis. 2017 recipients were Logan Sewall and Jimmy Milne. The 2016 Senior Service Scholarship recipients were Dylan Charnon and Maya Daniel. Our 2015 recipients were Gwen Quigley, Sarah Bartholomew, Preston Epley, and Annika Flynn. The 2014 Scholarship recipient was Kyle Milne. Kyle was a 2014 graduate of South Anchorage High School and a resident of Girdwood. He is currently attending University of Alaska Fairbanks. He wrote, “I can honestly say that my college experience has allowed me to grow both academically and personally…Thank you so much for giving me the gift of higher education”.